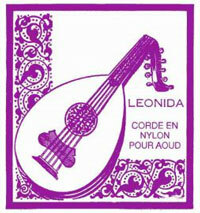 The Aoud Leonida sets are meant for professional musicians and amateurs. They are spread throughout the world, in countries where the aoud is traditionally played. * 3 trebles double length clear Nylon. * 2 basses double length Metal wound. They are great strings, easy to tune and very stable.